I don't normally do videos dubbed to my flights, but I thought this was fitting. Disclaimer - So if you don't like videos like these, just move along.. this was 100% for me and not for you, not for views, and not for ratings. And please keep in mind, all of the planes in my fleet are 100% purchased by myself. I don't have vendor sponsors, and I do not monetize or profit from any of my videos. In truth, a lot of my videos are meant as a personal flight journal of the aircraft I've flown throughout this great hobby I've enjoyed for the past 6 years. However, if you don't mind flight videos to music, please sit back and enjoy the show. The Queen of my Fleet, she is still the fastest and ranks as "Legendary" out of the 90 aircraft I own. Some say she can be difficult to handle and requires the pilot to be several steps ahead of the flight, but to me it was more like seeing an old friend and I don't find anything difficult about her at all. I had to clear my head today and take her out again for some flights. Still every bit as legendary as when I first flew her in this video. If you are looking for a high quality and reliable servo but good price, you got the right one here. AGFrc A80BHMW super torque waterproof steel gear digital servo will be the great option which support to use with high voltage and damp situation. A80BHMW servo make almost 500oz-in torque with speed 0.11sec at 7.4V. While using voltage up to 8.4V, it can deliver 555oz-in super torque and 0.085sec high speed at 8.4V. Perfect for scale crawlers, 1/8 1/10 monster truck, 1/8 1/10 2WD and 4WD buggies, as well as 1/8 scale buggies and trucks. In addition, this A80BHMW is great choice for boats and other application which require high power, high voltage and waterproof servo. This frame allows you to build a Quadcopter with 1407 Motors, 20x20mm Stack, Micro-Camera and a 4S 800-850mAh Battery under 250g AUW! It has an insane amount of power and feels really agile in the air. I used the Rotorgeeks motors and HQ 4x4.3x3 V1S. This is a perfect combination I think and those props are just awesome. A few notes about the design. One pair of 7.4v PH type UMX plugs with leads. This is the plug used by Horizon Hobby on all the UMX 2S 7.4v lipo planes and helicopters. You get a set of 1 male and 1 female pig tail. The wires are just over 4" long and are soft silicone 22 AWG. This item has male plug that goes to ESC or charger (device side) and female plug that goes to battery pack. Perfect item for repair or customization of your small RC air craft using 7.4v light weight UMX batteries. $5.99 per set of 2 (male/female). I always like to see what kind of power my planes make. The BAe makes some impressive numbers. 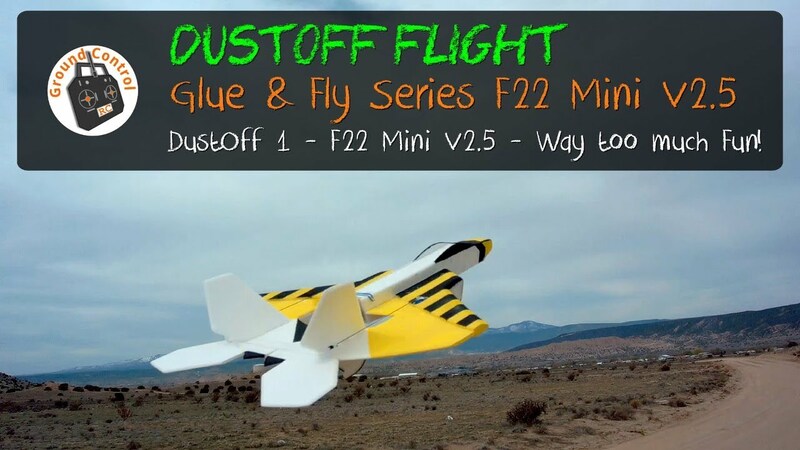 This is my Blade Scimitar 110 FPV Quad BNF Basic FPV Maiden Flight. - It had a price reduction recently, so the price is only slightly more than the Blade Torrent 110 FPV Quad at the time I made this video. My back can only take so much activity and I am spending it all going to the state champs and taking some pictures .. Rain Rain Go Away. I have Plans Tomorrow to go Flying as you can see. So many choices to choose from. So much fun to be had. Hope everyone is enjoying their Easter Weekend. Happy Flying to all. Got the purple Robocat back together, and flashed with Ardupilot. If it ever stops raining, will take it for a test flight. Eachine Tyro109 review – Full Build & assembly step-by-step guide. 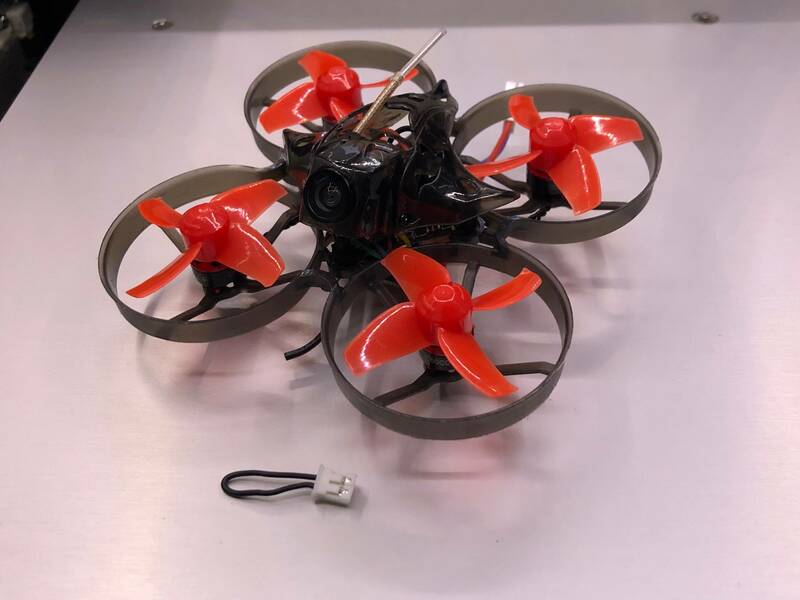 This Eachine Tyro109 210mm DIY 5 Inch FPV Racing Drone PNP w/ MatekF405 F4 FC, 30A Esc, 600mW VTX & Caddx Turbo Eos2 1200TVL Camera build video is long, but shows every step of the process required to assemble this and includes tips & advice during this process too. 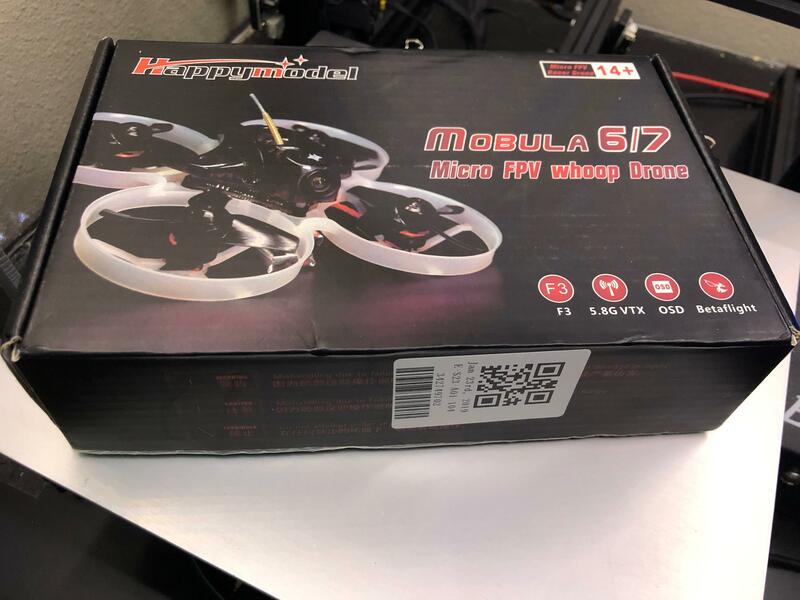 This is to show anyone interested in building this Eachine Tyro109 or their own first freestyle or racing fpv quadcopter drone how this is done, and to assist make this build easier for anyone that purchases this. I hope you find this informative & helpful. It was a beautiful day in the Netherlands. Today the Chica had his maiden flight. For this i get some help from TvM. After the trims are set, i got the controles. It is a bit exciting, but the Chica flies well. See the photo of the Chica. Now i can think what will be the next project. Some planes in the car and ready to go! The Chica at home after the maiden flight.